starring Sundeep Kishan, Anisha Ambrose starrer in lead roles. The film is directed by Ani Kanneganti. The movie is produced on ATV Entertainments with Sai Kartheek's musical score. The film has Kasi Vishwananth, Posani in supporting roles. National Award Winner Bobby Simha played an important role in the film. The film is remake of Tamil Super Hit film Neram. Read below for Sundeep Kishan's Run Movie Review. Sanjay (Sundeep Kishan) borrows money from Vaddi Raja (Bobby Simha) for his sister marriage. However, Sanjay fails to pay him the full amount due to the loss of his job. Sanjay decides to borrow money from his close friend and repay the amount as soon as possible Vaddi Raja. This is the time where Sanjay faces tough tasks and runs in problems in his personal love life also in the form of Ammu (Anisha Ambrose) who alones come from her home by fighting for her love. Will Sanjay succeed in his love and what happens to Sanjay's Life is rest of the story. 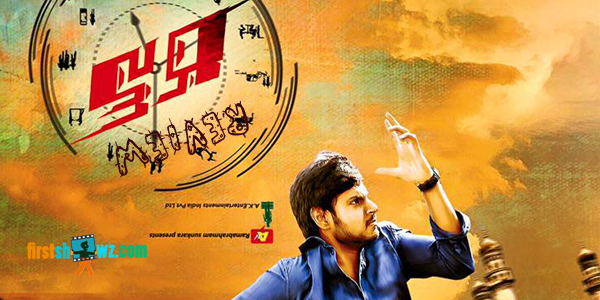 Sundeep Kishan shows his matured acting skills and maintains nice tempo in his characterization. Anisha Ambrose's role is limited and the actress less screenspace. Bobby Simha gives terrific debut and looks perfect in Vaddi Raja's role. Mahat Raghavendra role goes on Okay type. Brahmaji and Posani Krishna Murali fill the screen with few laughs. Music Director Sai Karthik's audio album has not much scope in visuals while the Back Ground Music for the film is an average. Direction by Ani Kanneganti is Okay and the director has completely copied the film content frame to frame from the original version. The film goes on confusion note in the second half where the director's screenplay goes flatter. The film's result is much needed for Sundeep Kishan's career as his earlier films has not scored well at Box Office. Run films runtime is an additional asset to the film. Though the director has cleverly narrated the story line, the film falls flatter with predictable scenes and forced comedy. The onscreen pair Sundeep Kishan-Anisha Ambrose scenes are too less and the director has only made it clear to roll the camera on Sundeep Kishan and Bobby Simha. The film's first half scores with few laughs and impressive scenes while the latter half goes on boring note with weak screenplay and simple climax.